Celebrity Entertainer Jeff Civillico, best known as an award-winning comedic entertainer on the famed Las Vegas Strip for more than a decade has been named “Ambassador” for Las Vegas Natural History Museum, announced Museum officials today. This is the first-time in the 27-year history of the Museum that a celebrity has partnered with the Museum to further rally local and national recognition for the Museum and its current growth and expansion. 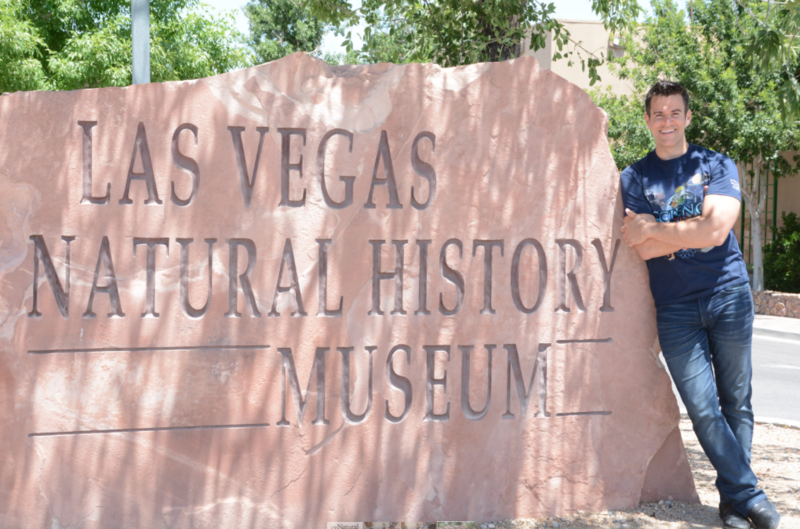 “When our team first met Jeff, we knew he was the perfect match to embrace and spread our message on education, science, archaeological discovery and the preservation of fossils and rich history found in our immediate surroundings,” said Las Vegas Natural History Museum Founder/Executive Director, Marilyn Gillespie. “We share the same family audience and passion for Nevada history as Jeff. With so much expansion and growth currently happening at the Museum, we believe it is perfect timing for Jeff to join forces with us and to help publicize all that we are accomplishing and creating at the Museum. His enthusiasm is infectious, and we are so excited to have him be an intricate part of our team,” Gillespie said. “I am a naturally curious person, and enjoy discovering new tidbits about my home here in Las Vegas. When I saw what the Las Vegas Natural History Museum was doing, I knew I had to be a part of it,” said Jeff Civillico, Las Vegas headline performer. “I have been a family-friendly entertainer for my entire life, and love seeing people from all walks of life and all age groups enjoy my show. Blending my natural interests in science, discovery, and history with a family environment that is a showcase for Las Vegas and inspiring for kids—all in a way that is both intellectual and fun—is a perfect combination,” he said. “Civillico’s role will include being the celebrity ambassador for LVNHM in marketing, special events, corporate development and special programming,” Gillespie said. 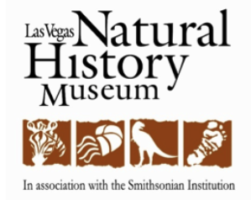 The Las Vegas Natural History Museum opened in 1991 and is a private, non–profit institution dedicated to educating children, adults, and families in the natural sciences, both past and present. Through its interactive exhibits, educational programs, and the preservation of its collections, the Museum strives to instill an understanding and appreciation of the world’s wildlife, ecosystems, and cultures.